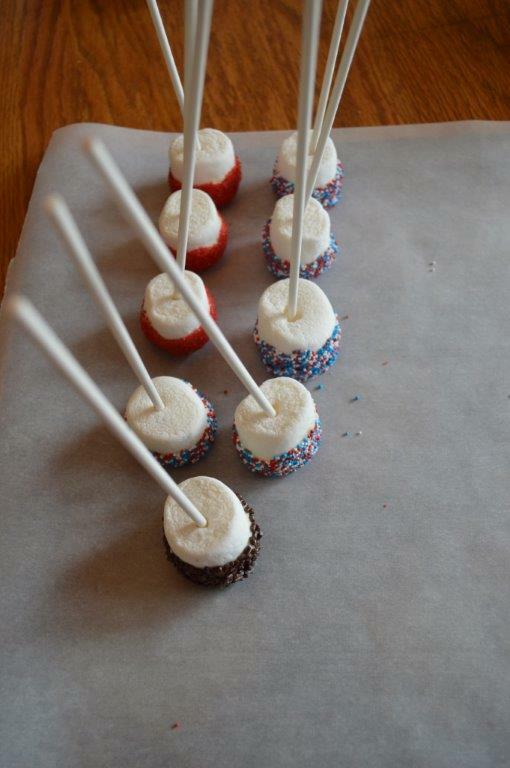 Patriotic Marshmallow Pops bring out the red, white and blue in treats and fun as you celebrate Independence day and fireworks. Short on time, but need something fun and unique? 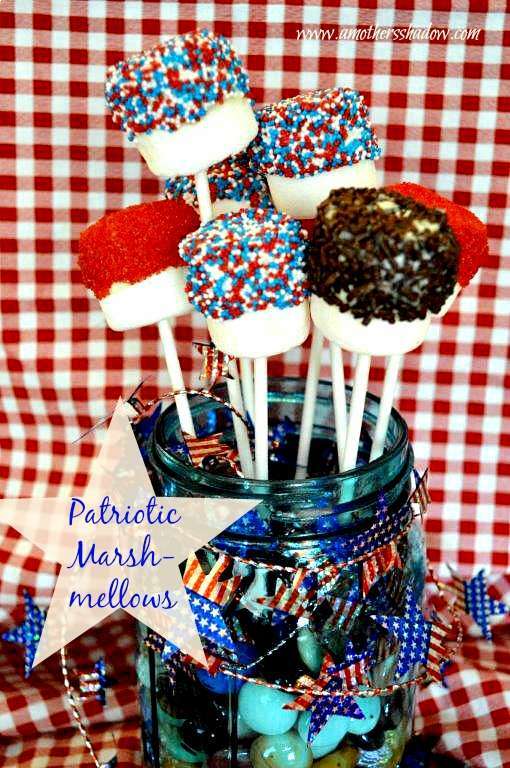 This little patriotic treat is just right to take along to the parade, fireworks, a family reunion, the neighborhood gathering, or just for fun. It’s also a great recipe to make with kids and teens. 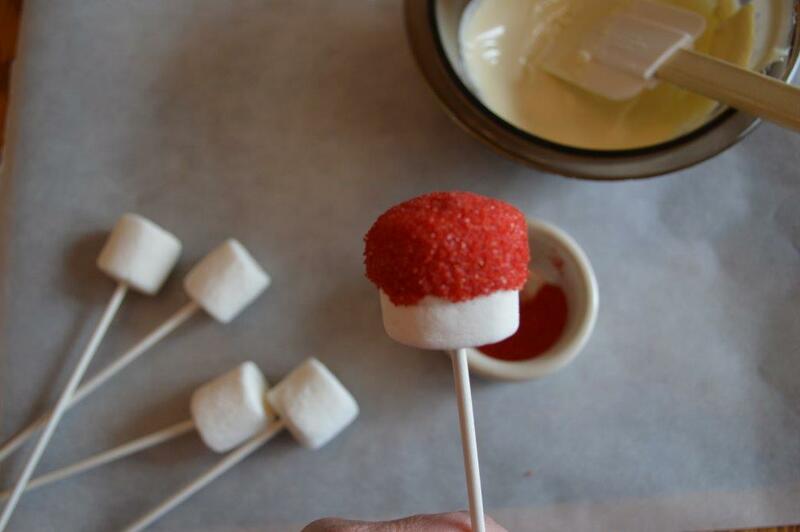 Cutting a small slit with a knife makes it easier to push the stick into the marshmallow. 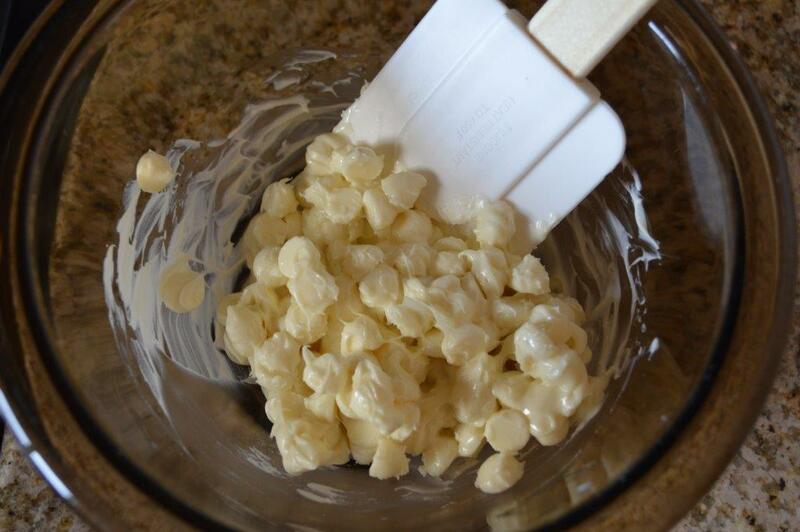 Place chocolate melts or chips in a microwave safe bowl. Microwave for 20 seconds, stir. Repeat this process, stirring, careful not to burn the chocolate. 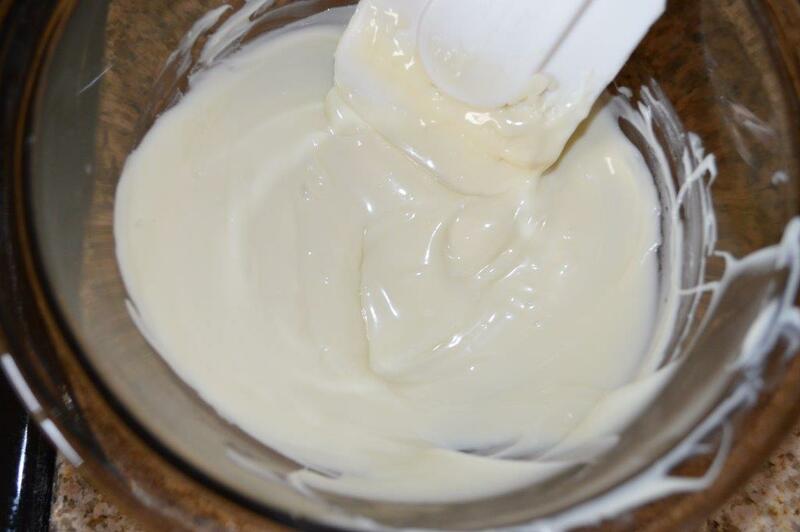 Continue until the chocolate is completely melted and smooth and warm, but not hot. 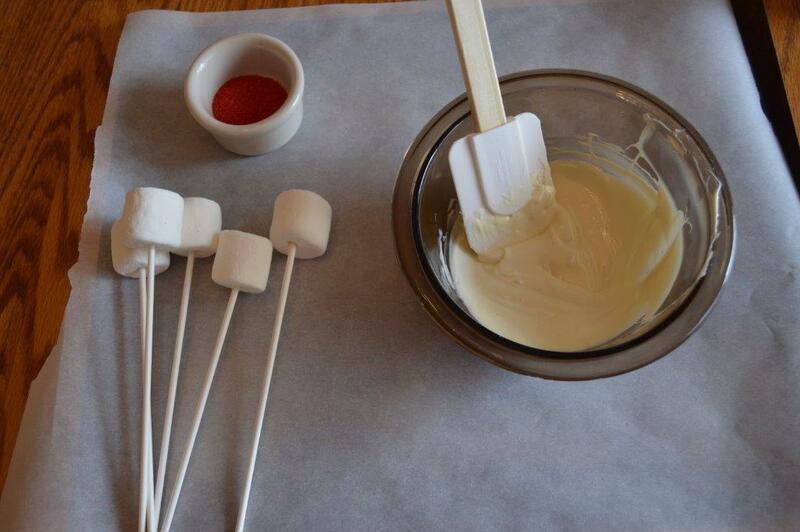 Have together the skewered marshmallows, sprinkles of choice in a small bowl for easier dipping and melted chocolate. Dip the marshmallow part way into the chocolate part way. Using the spatula, even off the sides chocolate by spinning the marshmallow against the side and also flatten the bottom of the marshmallow. 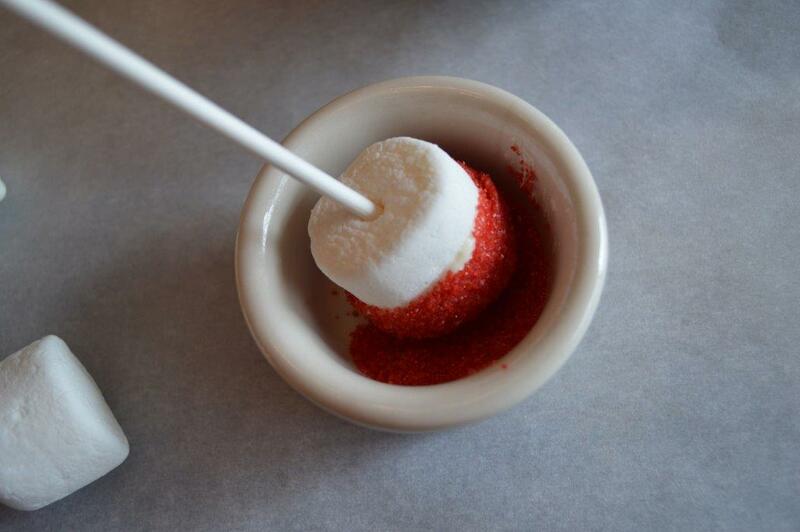 Quickly dip the marshmallow into the bowl of sprinkles. 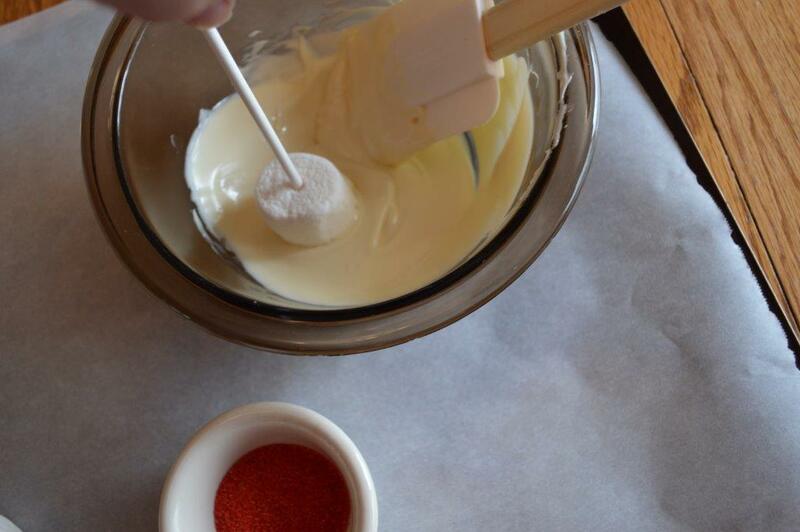 Use all of the same color or type of sprinkles, or mix it up for variety. 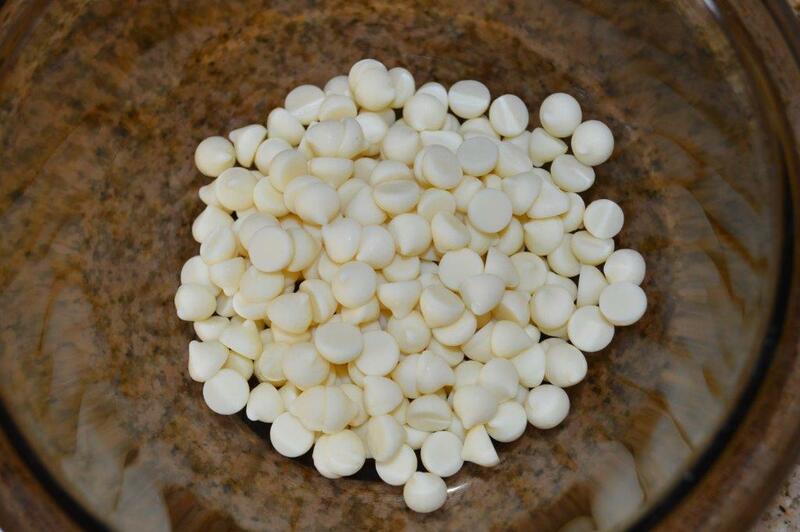 If the chocolate begins to set up and is not easy to dip the marshmallows, simply put the bowl of chocolate in the microwave and set for 10 second intervals, stirring and repeating the steps above until warm and melted. 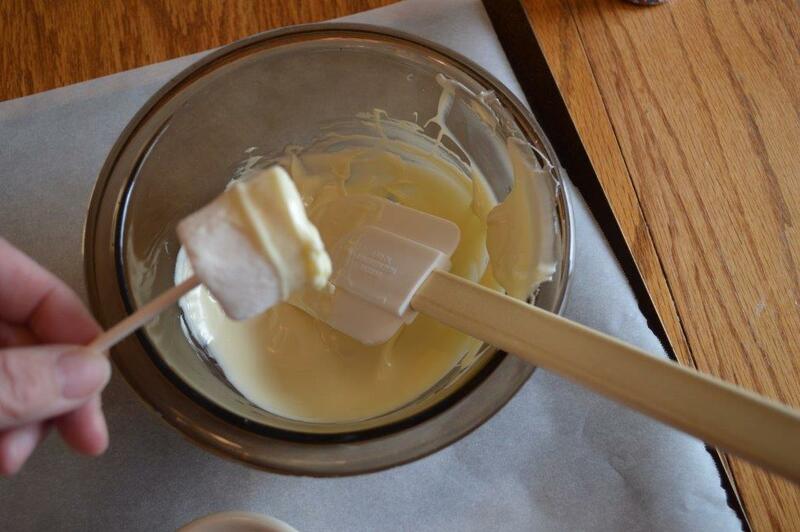 Place covered marshmallows on waxed paper or parchment and allow to set up.